In the work to expand the Shoalwater Bay Training Area (SWBTA), 80 per cent of the construction will be undertaken by local companies and workers under Defence's Local Industry Capability Plan (LICP), the Defence Minister has confirmed. While visiting Rockhampton this week with Member for Capricornia Michelle Landry, Minister for Defence Marise Payne announced F.K. Gardner and Downer EDI Works will be the managing contractor under a joint venture for the SWBTA Remediation Project. The companies committed to having regional sub contractors make up 80 per cent of the work. "The SWBTA Remediation Project represents the first of the major managing contracts to be signed with a Local Industry Capability Plan," Minister Payne said. "Through the government’s LICP, local businesses and suppliers can expect to benefit from a majority portion of Defence’s investment into projects." Minister Payne said she was pleased the managing contractor had already held discussions with local suppliers and businesses, and has committed to increase and enhance the existing local workforce. 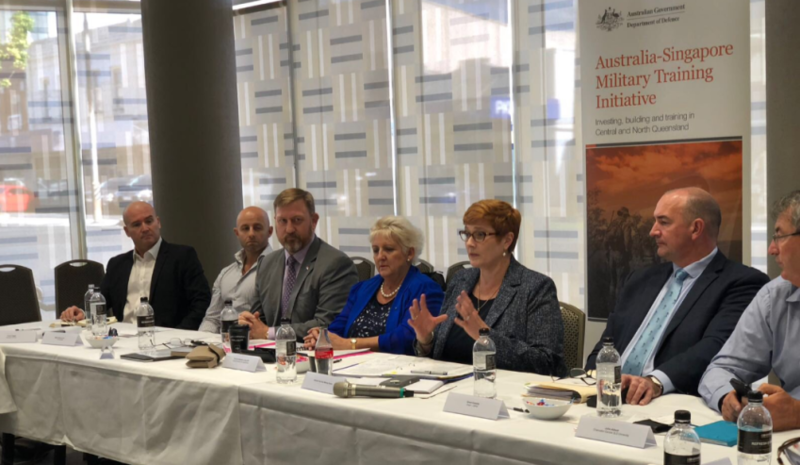 "The government’s LICP initiative is helping to create local jobs and investment and encourage strong local industry near Defence facilities including the Shoalwater Bay Training Area, to support Defence over the long term," the minister said. The remediation and enhancement of the SWBTA Training will support the ADF and its partners, including Singapore, to conduct their training exercises in a sustainable environment.